Jock and Miss Ellie as the head of the family. Starting their family from humble beginnings, they obtained the American Dream through entrepreneurial pursuits; ranching and drilling for oil while rearing three sons, JR, Gary and Bobby. The family name was synonymous with arrogance, charity, money, power, Texas; and most importantly, oil. Sometimes they fought internally, but they always rallied together to defend their family unit. And, the family was not afraid of self-promotion; they blew their own horn of success at every available opportunity…sometime brashly, sometime with sensitivity. Question 1, can you share examples of how you are protecting your brand? Business – When founded, Ewing Oil had one mission; to be the biggest independent oil company in Texas. Every deal that was considered was analyzed based on its ability to achieve that mission. Even when they were #1, they maintained their mission in order to challenge themselves to stay on the throne and raise the bar of the Ewing Oil Empire, that’s called growth. Question 2, can you site examples of how you are staying true to your organization’s mission? 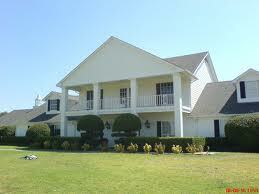 Residence – Their home was a brand itself, Southfork Ranch. A thriving business of its own, this ranch was well known all over the world for its majestic plains, livestock and bountiful reserves of oil that lay beneath the topsoil. The residence was so well branded that it was not called a home it was always referred to as Southfork by friends, family, enemies and strangers. This was a place that even the rich admired and envied. Question 3, how is your brand developing multiple revenue streams? In order to achieve Ewing Oil’s mission, the eldest son, JR took great pride in networking and researching deals and competitors. Through his study of each business deal, he was able to properly position his company’s competitive edge; strengths, name recognition, pricing, placement, etc; to win business. Even though he had some mischievous actions to obtain deals, his approach and how he specifically tailored the company for each independent deal was simply amazing. Question 4, can you list three different competitive positions that your organization owns over any potential competitor? Bobby was a true balance of both of his parents; tough but fair, compassionate and business savvy. He was an outstanding networker and coalition builder; but he differed from his brother JR, by using his morals and his love of people to succeed in business. People gravitated to Bobby; they wanted to be in his presence. Now, he wasn’t afraid to use his powers for bad when provoked; however, he preferred to operate on the side of good. One of his favorite quotes that Miss Ellie, the family matriarch taught him, “You can catch more bees with honey than you can with vinegar,” guided him throughout his life. Question 5, do you manage your organization based on morals or revenues? The family patriarch, Jock taught the boys the Three B’s of Business; in order to keep this blog G-Rated, I will not recite them. However, the ultimate lesson was to close every deal to the complete satisfaction of both parties, including your competitors. Jock understood that growth opportunities are always possible and those that you compete and negotiate with are the same entities that you may need to partner with to win the next “big deal.” Question 6, what are your three basic rules of business? 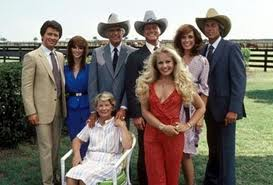 Really, the original CBS Series, Dallas was my first business class, Branding 101. The show illustrated lessons of brand promotion, crisis management & communication, collaborative work, establishing multiple streams of revenue and comprehending your business and personal brand’s value; elements you can only truly learn while in the midst of running a business. Recently, the re-launched series was cancelled from TNT after four seasons. It’s sad that future business leaders and entrepreneurs won’t capture the same lessons I observed nor will they have the opportunity to make memories with the young people in their lives like I did while watching this American Icon. Who knows, maybe CBS, USA or the OWN Network may pick up the show and #SaveDallas. I would be a happy viewer.